I can’t tell you how overwhelming and humbling the response to the re-launch of the Success Is Voluntary blog and podcast has been! Your emails, phone calls, and comments on the website and Facebook have meant more to me than you will ever know. One of the crazy, unintended, but gratifying side effects of the re-launch has been that several people have asked if I was available for personal coaching. The answer is yes I am, but only for the right person. Before we get into who I accept into my coaching program I want to tell you a story. The year was 2011 and I was stuck. It you are a movie buff I would assume you have seen the classic movie “Groundhog Day.” I was so stuck in my career development that every day seemed like I was Bill Murray’s character Phil. I was doing the exact same things over and over and over and over again. I was desperately stuck. I was making great money and should have been at a very comfortable place in my career. But the simple fact was that I wasn’t getting better. Worse yet, I was (and it’s hard to say this humbly) the absolutely highest performing sales manager in my organization. I really had nothing to learn from my peers or my bosses. I decided to do something radical. 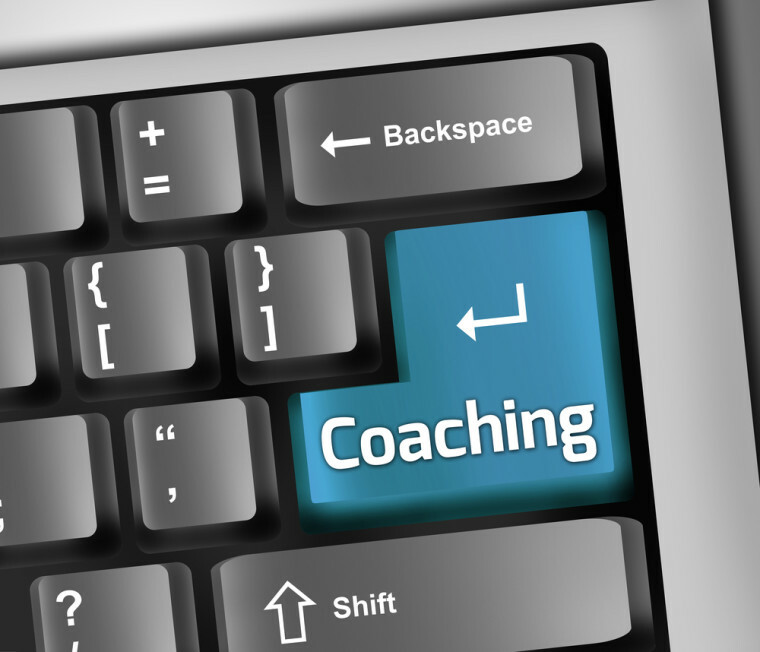 I decide to hire a personal coach after a very successful sales career of just over 14 years. Hiring this personal coach saved my career, and also quite frankly my sanity. I had to do something different or I was going to burn out. I made the very hard decision to seek professional help. This decision completely changed my career arc and opened doors to opportunities I could never have imagined. And best of all, just like good old Phil, I was able to once again move on with my life. Because of my incredibly positive experience, it is my belief that every sales person and sales manager needs to hire a coach. They owe it to themselves, and the people that are counting on them. You are stuck in your excuses. Your coach is going to ask you the hard questions. Oftentimes this is somewhat akin to therapy (don’t ask me how I know that.) What I mean is that often the person being coached already knows the answers to the hard questions. They just need someone to call them out on it. One of the excuses I told my coach was that the market was saturated. He simply asked me how many millions of dollars in sales had been made, by my company, in my market the previous year. When I told him the answer, he asked me what percentage of those sales my team had made….. When I answered less than 10%, my excuse evaporated like light fog in bright sunlight. Your are stuck in your bad habits. Many veteran sales people fall into bad habits over time. Perhaps their skill level helps them to overcome some of these bad habits, but by removing their bad habits the veteran sales person will see their sales skyrocket. A prefect example is that every sales organization, since the beginning of time, has taught their salespeople to get referrals. In fact most sales organizations require their new sales people to ask for referrals when they are training. So then why is it, according to the SalesBoard.com, that 85% of veteran salespeople don’t ask for referrals. Especially since the Sales Board also claims that the closing ratio of referral business is in excess of 70% better than cold calling. Clearly the veteran salespeople need this and many other bad habits culled out. You are stuck with your self-limiting mindset. Zig Ziglar stated that the biggest obstacle to sales was the 6 inches between your ears. I have now professionally coached sales people for just over 21 years and I couldn’t agree with Zig more! One of the mindsets a personal coach will teach you is how to reframe the word rejection. If you are in sales there are series of simple of equations that lead to the sales person’s closing ratios. Many new and veteran sales people see getting a no as being personally rejected. A personal coach will help you to change that mindset to see it as simply a metric result. In other words in the B2B sales world, if we call on 100 small businesses in person 25% of the time the Decision Maker will come to the counter. 60% of the time they come to the counter they will give us an appointment to present our solution. Once we present to the Decision Maker, the closing ratio of business owners who agree to our value proposition typically is around 50%. If you do the math, 50% of 60% of 25% is about a 7% success ratio. 7% doesn’t FEEL very good. It is easy to FEEL like we were abject failures 93% of the time. But if you look at it as a metric result, you quickly understand that if you want 7 accounts all you have to do is simply walk through 100 doors! Can you see the difference in mindset that creates? My guess is that if you are really honest with yourself, you would admit that to some degree you are stuck in your excuses, stuck in your bad habits, or stuck in your self-limiting mindset. In fact if you are like most people I work with, you are probably stuck in all three areas. Maybe you are comfortable continuing on the way you are, but I believe that personal coaching will take you to the level of success you dreamed of when you started your sales journey. If you are ready to join the top 10% of the producers in your company, you must get unstuck! You and the people in your life deserve your very best effort. The future of your clients and/or the people you lead hangs in the balance. Will you free yourself from excuses, bad habits and self-limiting beliefs? The next move is up to you! You were made for greatness! Don’t allow yourself to stay stuck. Listen, I’m not the right coach for everyone. Quite frankly, not everyone is a good client for me. I want to work with people who are committed to making their career, and their life, the absolute best that it can be. I’m looking for people that won’t settle for less. I only work with people who are ready for change and are willing to do the work. If that sounds like you, contact with me by email at tim@successisvoluntary.com or CLICK HERE to find out if we are a good fit for each other. If we don’t make that “love connection,” I can’t encourage you strongly enough you to find someone else. Your growth as a true professional sales person can be exponential. I would highly encourage you to take the plunge and hire a personal coach today! I promise you that you will thank yourself for it and so will your family. You don’t have to get coaching. You don’t have to raise your hand and say you might need help. You don’t have to continue to grow. All of these things are voluntary, but so is success!